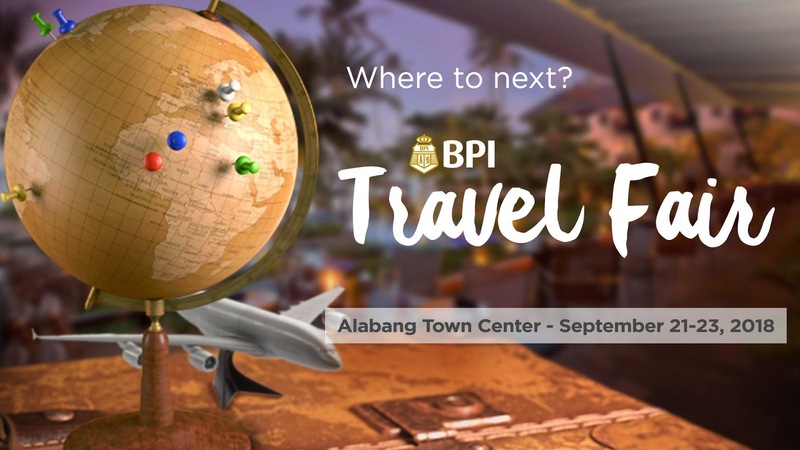 Don't miss the BPI Travel Fair happening at the Alabang Town Center Activity Center from September 21 to September 23, 2018. Score great deals such as discounted airlines tickets, Special Installment Plan, bonus Real Thrills Rewards points and more, only with your BPI Card. Get discounted fares* for as low as USD114 to HongKong and USD564 to US with Cathay Pacific, USD178 to Singapore and USD709 to Europe with Singapore Airlines, USD445 to Australia and USD605 to New Zealand with Qantas Airways, and more. You can also enjoy special resort packages for as low as P18,400 with El Nido Resorts. Plus, avail of amazing perks at the fair such as Real 0% Special Installment Plan, double Real Thrills Rewards points, and special foreign exchange coupon for your pocket money.